NCOD provides communication access, leadership opportunities, scholarships and direct communication classes for approximately 150 students who are deaf and hard of hearing each year. Registering with NCOD allows students to receive access services such as interpreting, speech-to-text transcription, note taking, tutoring and academic advisement as well as priority registration. Prospective and current deaf & hard of hearing students can find detailed information on this website. 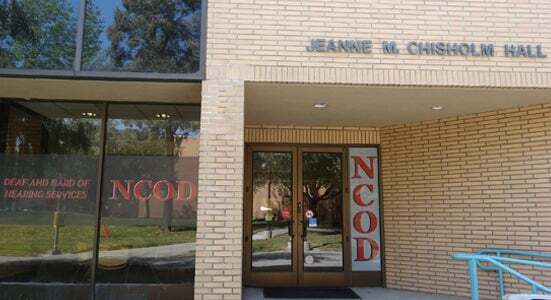 NCOD's students can take advantage of a variety of social and leadership opportunities such as Deaf CSUNians, a student organization that provides cultural, political, and social awareness opportunities for its members, the campus, and the community. NCOD's influence reaches far beyond campus. Resources are available for service providers, professionals, families, teens, alumni, and managers. Check our website for details and resources. If you’re deaf or hard of hearing and are interested in learning more about the programs and services offered at CSUN, please contact us at ncod@csun.edu.